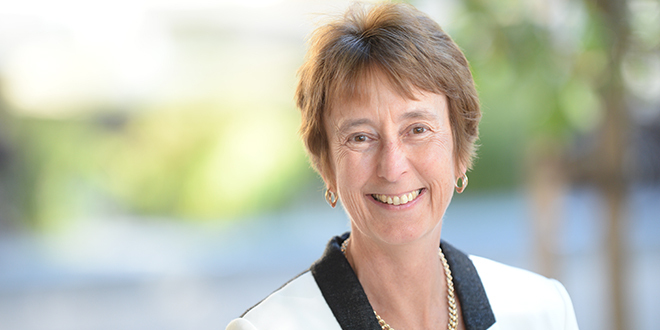 Vital vision: Dr Lee-Anne Perry has been appointed to lead the Queensland Catholic Education Commission. Stopping bullying: Queensland Catholic Executive Commission executive director Dr Lee-Anne Perry attended a bullying and cyberbullying roundtable discussion hosted by Queensland Premier Annastacia Palaszczuk on Monday. QUEENSLAND’S key advocate for Catholic schools believes Australian leaders can help reduce bullying among young people by examining how they behave in public. 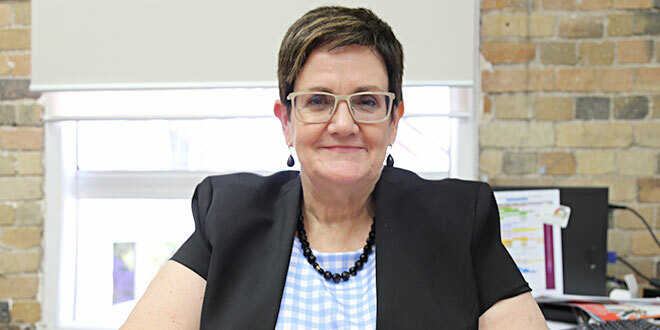 Queensland Catholic Education Commission executive director Dr Lee-Anne Perry was among 40 stakeholders invited to a bullying and cyberbullying roundtable discussion hosted by Queensland Premier Annastacia Palaszczuk on January 29. The meeting came after the shock suicide of 14-year-old Amy “Dolly” Everett, who took her own life after being bullied. Ms Palaszczuk said the roundtable would help inform a Queensland Government submission to the Council of Australian Governments meeting in Canberra on February 9. The Federal Government confirmed bullying would be on the agenda for the meeting. Dr Perry told the roundtable that the behaviour modelled by Australian leaders should reflect core values of respect, inclusion, compassion and empathy. She told The Catholic Leader that a values-based approach to combatting bullying could offer young people exemplary role models for interacting with their peers. “With young people, it’s not what you say, it’s what you do, and so what are the behaviours we’re modelling as leaders, as community leaders, political leaders, families, parents and siblings?” Dr Perry said. As well as advocating for a values-based approach to bullying, Dr Perry said schools needed to educate young people on online safety, in particular the myth of online anonymity. Strategies should also support parents in understanding new technologies “and what boundaries they should be setting and encouraging with their young people”. During the roundtable, Queensland Education Minister Grace Grace confirmed that the new Youth Advisory Council tasked with investigating cyberbullying would include a representative from the Catholic sector. Ms Palaszczuk also confirmed the establishment of a Queensland Anti-Bullying Taskforce that would inform the development of a new anti-bullying framework for Queensland. Dr Perry said she supported commitment to include a Catholic student on the council and praised the Premier’s decision to set up a taskforce. She said Catholic schools in Queensland were already working with parents, students and staff on addressing inappropriate behaviours. “(Catholic schools) will continue to do that and will support any initiatives the Premier will lead,” she said. Dr Perry said while the meeting followed the tragic death of Dolly Everett, the roundtable was responding to the deaths of many young people as a result of bullying. “This is particularly an issue in indigenous communities, and it’s an issue that is of growing concern,” she said. While tackling bullying at a school level is one strategy, parent engagement leader Carmel Nash is pushing for a “better connection between home and school”. The executive director of the Federation of Parents and Friends Associations of Catholic Schools in Queensland also attended the roundtable and is preparing a submission to give to the State Government following the meeting. Mrs Nash said the roundtable addressed the same work P&F Queensland was doing in parent engagement, learning and wellbeing but said more needed to be done. In her submission, Mrs Nash said she would tell the State Government that parents and school staff needed to work together to combat bullying. “If a parent notices anything about a child’s change in behaviour, or the teacher notices, the parents are aware of things and can get on top of it quickly,” she said. “That’s the big thing for me, that research shows all of those things improve behaviour, and reduces bullying. Mrs Nash said while good parenting could reduce bullying, it could not guarantee for a perfect child. Mrs Nash agreed with her colleague, Dr Perry, that respect was an important value for both adults and children. Ahead of Monday’s roundtable, Ms Palaszczuk said the Government was committed to protecting Queensland children. “To ensure the safety, health and happiness of every Queensland child, the Government is rededicating itself to leading the anti-bullying agenda in Australia, and working with children, parents, teachers and the community to address this serious, damaging, and at times deadly, issue,” she said.